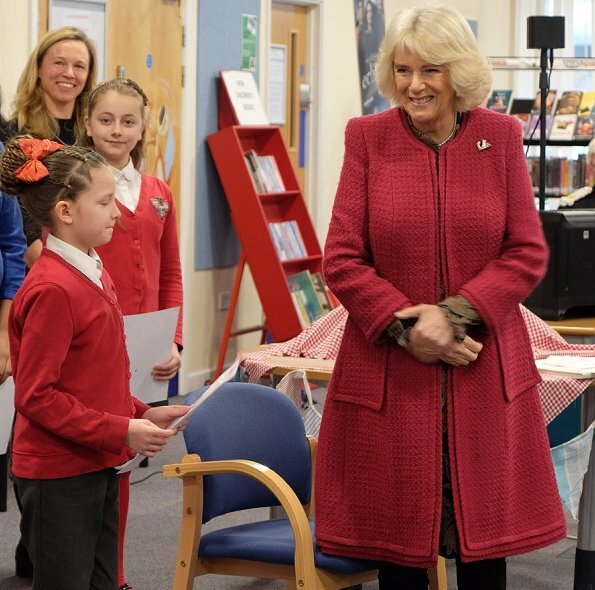 On January 24, 2019, The Duchess of Cornwall visited North Swindon Library and the Lyndhurst Community Centre in Swindon. 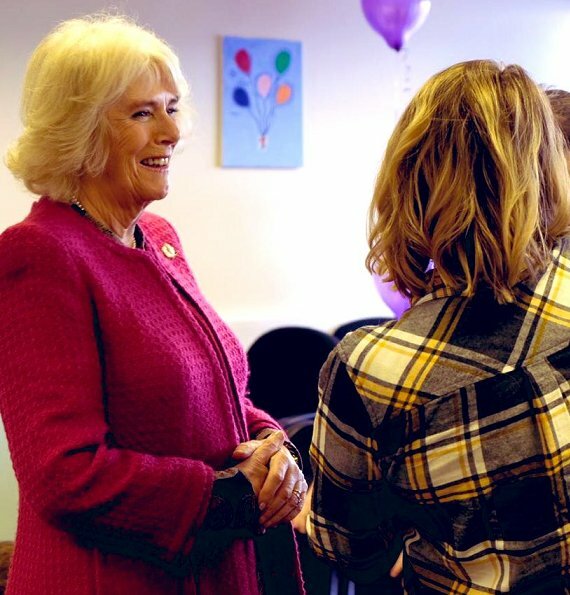 The Duchess of Cornwall learnt about the Trust's Swindon Hub and met children involved in the Lost Words project. 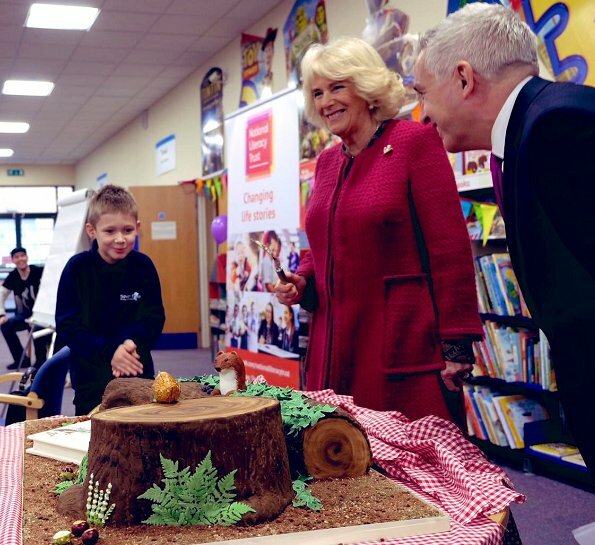 The Duchess of Cornwall attended a book gifting event at North Swindon Library, then went to the Lyndhurst Community Centre in Swindon, a centre for looked after children, to observe the work being done there. 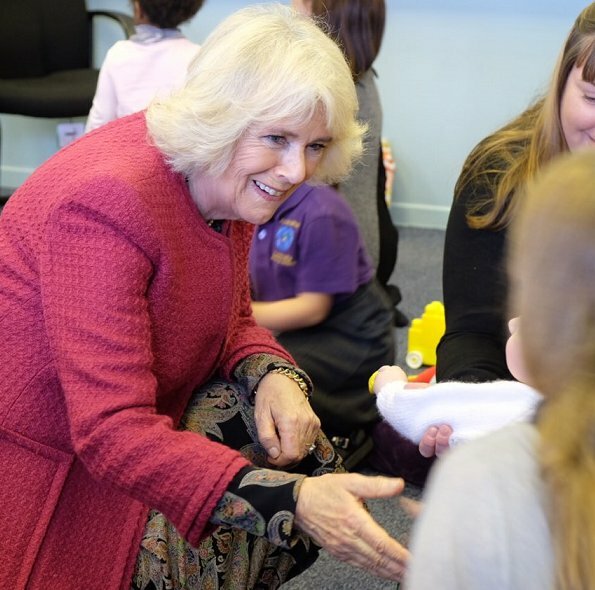 The Duchess of Cornwall is Patron of the National Literacy Trust. 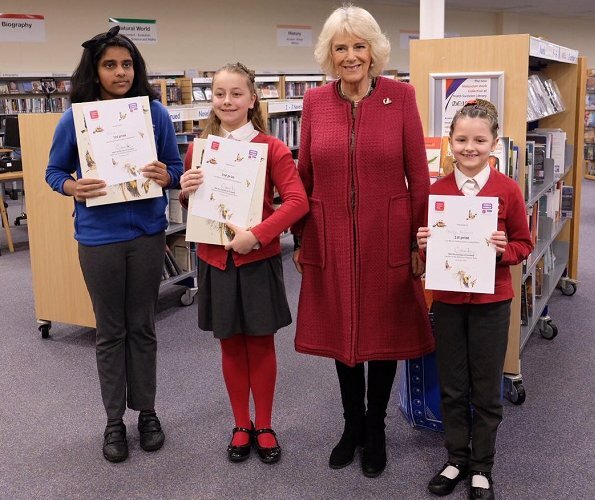 The National Literacy Trust are dedicated to improving literacy levels in the UK and work to establish a love of reading early on. What I can see of the dress works fabulously with the boots. Very pretty coat, too -- this is a really nice overall look. Henry Carter, your Mum is absolutely right:)! 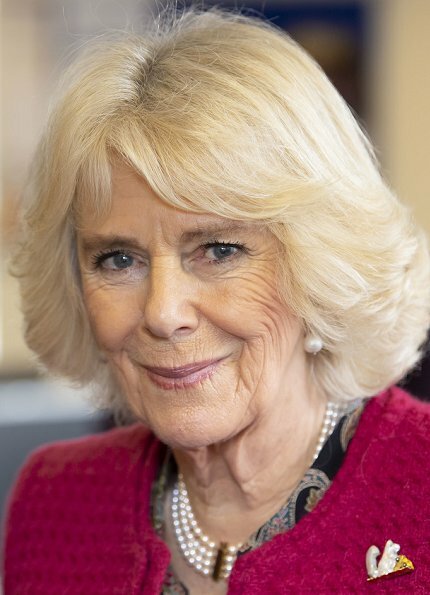 Yes, I was just thinking the same thing- she will make a superb Queen consort. It does seem she'd be very interesting too. 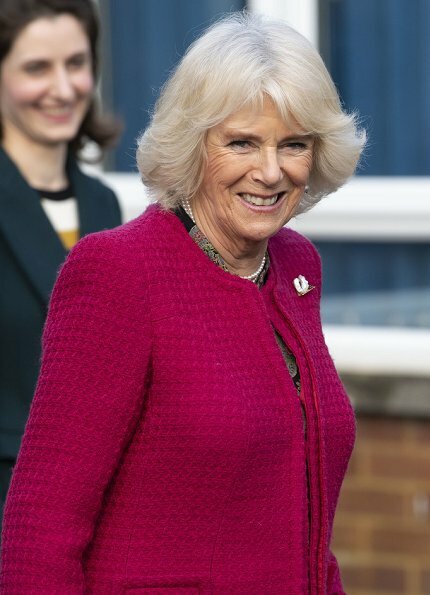 Now, please, can anyone verify the 'rumor' that has me believing that the British royal ladies are not supposed to take their coats off during these types of events? 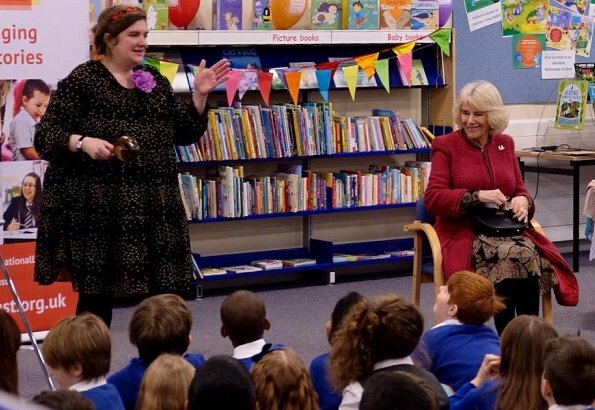 Is she used to be a school teacher?? Maybe Yes? All I know about this woman is what has been published over the years, and yet I don't feel that I could judge her. I truly believe that you comments are disgraceful. 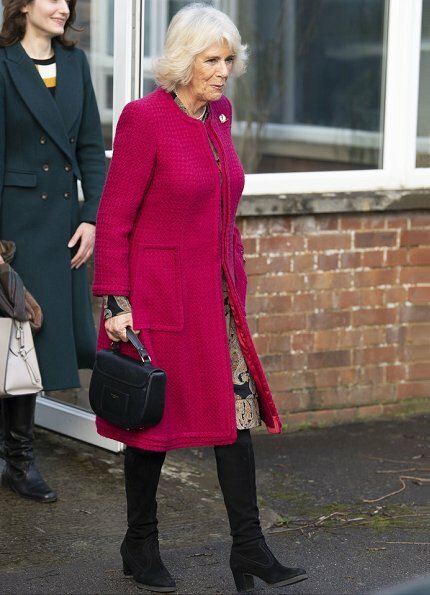 I generally don't care much for her sense of fashion, but I do like this coat and how she paired it with boots, I think she looks very good today. On the other hand I think that she should invest in good underwear, regardless of age and gravity, well made undergarments with good support definitely help the silhouette. 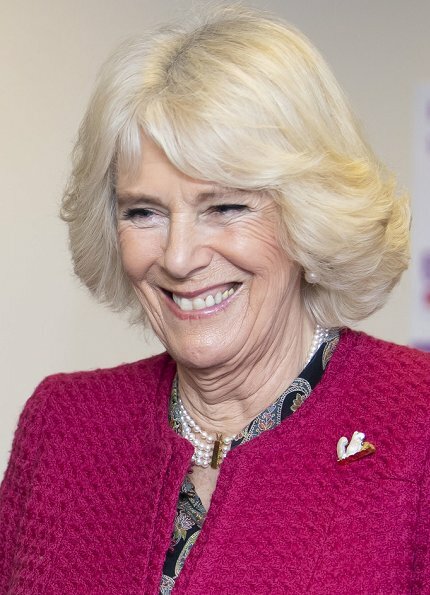 Lovely lady with a warm smile and great manner with people she meets. 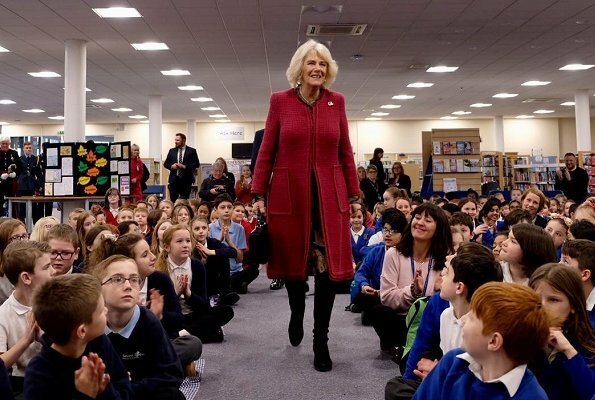 Love the coat and the boots - she's found the style that works for her. Coincido con la mamá "Henry Carter"2)admiro lo espontánea que es; 3) sonríe también con los ojos, hermosísima Duquesa!! 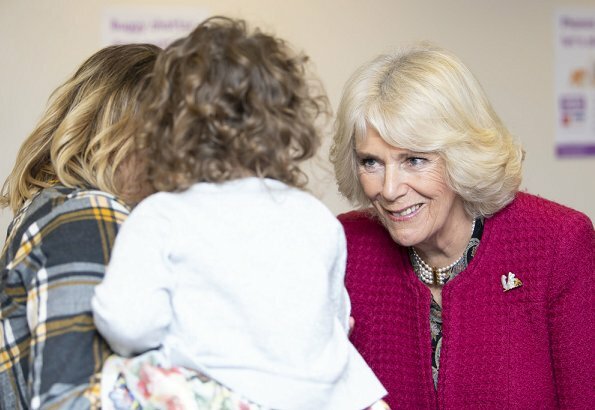 I think Camilla is doing a good job, and I agree that she appears genuine. Not acting. I also agree that she has found a style that works for her and generally dresses well. 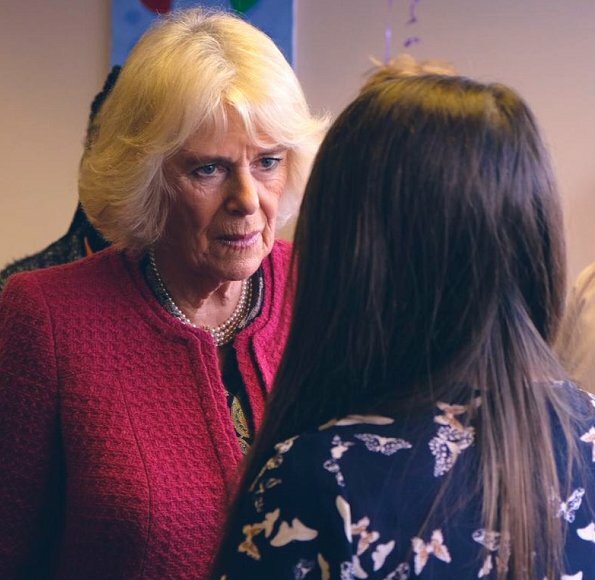 This coat however, is not her best in my view, looks a bit like a blanket. But I like the colour, and I like both boots and handbag. I would have liked to see what kind of dress she wore underneath.